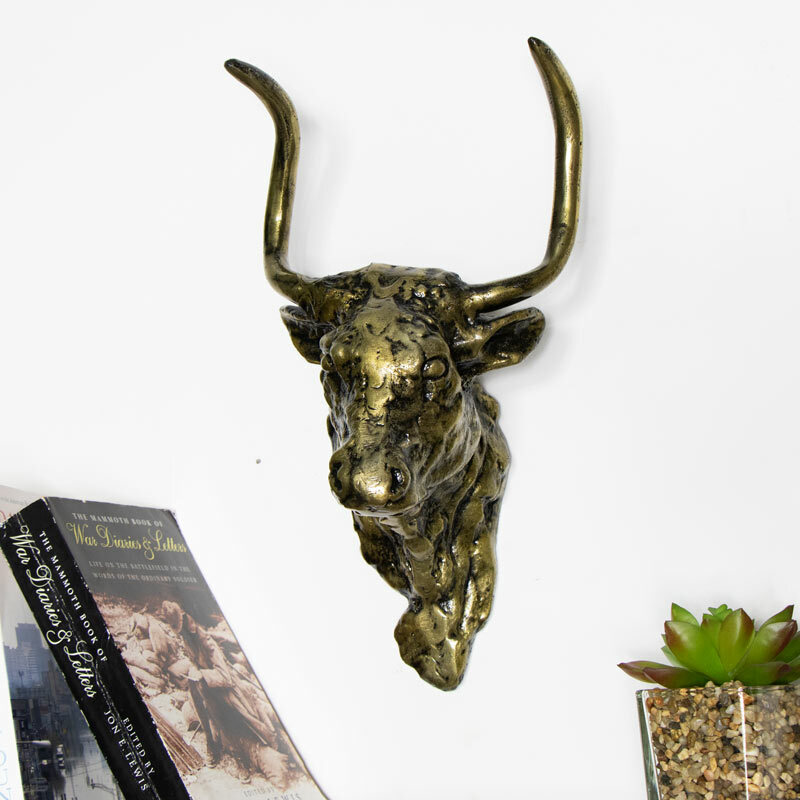 This Wall Mounted Distressed Brass Coloured Metal Bulls Head would make a quirky wall decor addition to a vintage, industrial, rustic, modern or mid-century modern style home. Stylish home decor for a living room, bedroom, hallway or kitchen space. Would look fabulous as part of a gallery wall. Easily wall mountable and its distressed textured finish adds a realistic touch to this timeless classic. 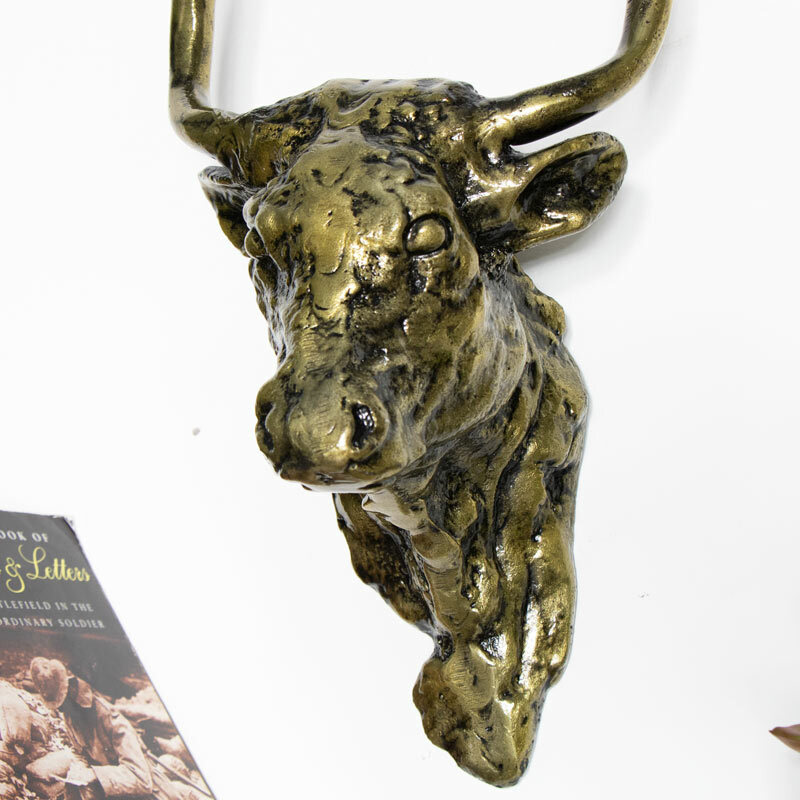 Add a touch of rustic country and woodland to your home with this metal bulls head. This Wall Mounted Distressed Brass Coloured Metal Bulls Head would make a quirky wall decor addition to a vintage, industrial, rustic, modern or mid-century modern style home. Stylish home decor for a living room, bedroom, hallway or kitchen space. Would look fabulous as part of a gallery wall. Easily wall mountable and its distressed textured finish adds a realistic touch to this timeless classic. Add a touch of rustic country and woodland to your home with this metal bulls head. The head is equipped with a single hole for easy wall hanging and we supply a single screw and wall plug.